GREAT BEND, Kan.– Megan Meyer and Kris Hool raced to victory in the second half of this weekend’s NHRA Lucas Oil Drag Racing Series Thunder on the Plains double header at SRCA Dragstrip. Neil & Parks, K/AA, 7.979, 151.99. Okla., ’98 S-10, GT/TA, 9.818, 133.32. ’62 Plymouth, E/SA, 11.277, 110.25. Click here to see results from the first half of the SCRA LODRS double-header. 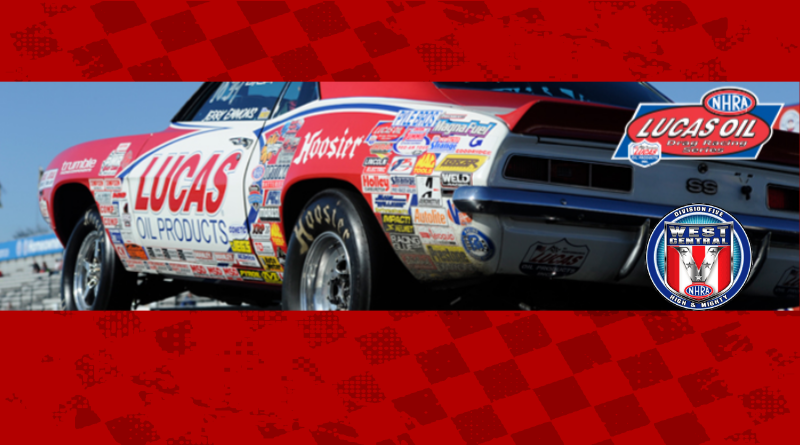 DragChamp is your source for NHRA sportsman racing results online. Visit Drag Champ daily for the lastest drag race results from NHRA sportsman racing.